Natalie flew to Taiwan with NaiNai on Tuesday. It looks like she's having a great time there with NaiNai and YehYeh. See Video 435 of Natalie going down a giant slide. She really loved it, NaiNai said she went down it more than 10 times! 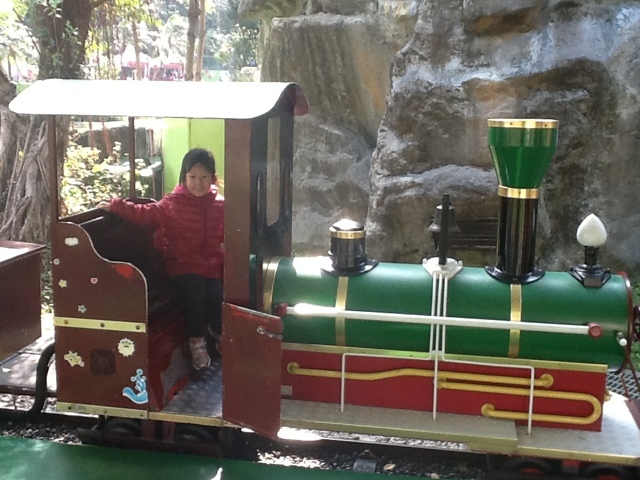 and here she is riding a train.